Ok so for this month's events I decided to try something a little different and I would love for you to come along and let me know how it works out! I am really excited about these changes and think that if they work out as well as my last great idea (my stamping class!!) then we might be on to something huge! So let me tell you about what I have in mind for this coming month of September. Since the kids are heading back to school I figured now would be a great time to try a new event called "Coffee & Cards" where we get together on the 2nd and 3rd Tuesday of the month and we put together really cute cards. Now this event will be a live event through Facebook so you will be able to join in and work on the same project as me even if you do not live near me!!! 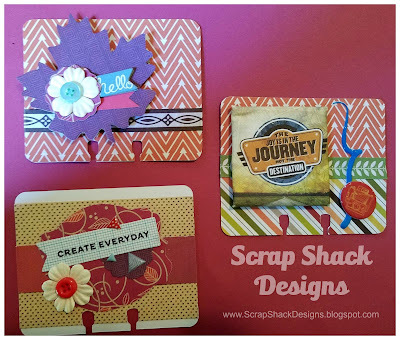 This is a great time to learn new techniques, to mingle with other crafters, and to simply enjoy this fine art, all while building up your card stash. Sounds like fun right?!! I am so excited about this. Do you wanna see what cards we are working on this month? 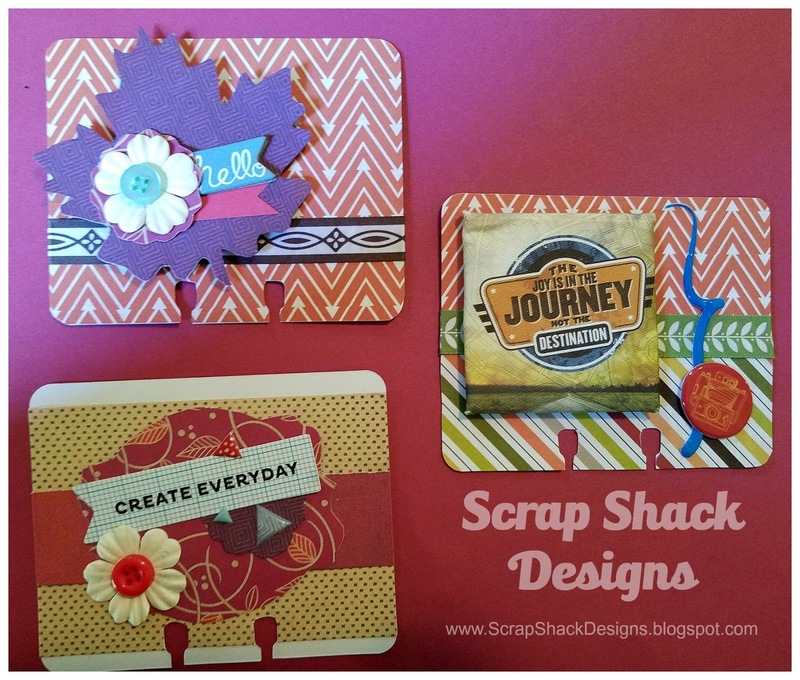 These cards are from our Workshop Your Way kit which we will be sharing this month to make the kit even more affordable!! These beautiful cards are embossed, edged, and of course made from our brand new color of the year, Blush!! Oh yeah and they use our awesome "Cats & Bats" seasonal line which is what September is all about. For only $7.00 you can have this kit shipped right to your door. 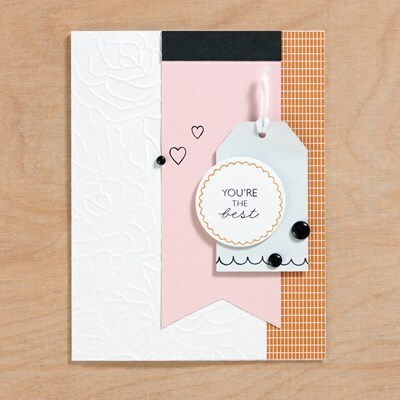 The kit includes everything you need to make four of these beautiful cards. The best part is that shipping is included! I will go through and prepare all of the images and cutting so all you have to do is create and embellish! Oh yeah and mingle...or not...it's totally up to you. Plus since I am paying for you can share more for less. 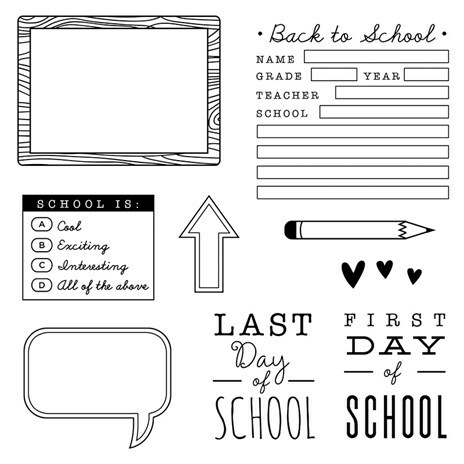 Buy 2 kits and receive a discount or if you want to buy a dozen and earn a free stamp set make sure to head on over here. Also this month, since I love teaching you guys awesome techniques, I am also going to host a Virtual Class on Mini Albums!! I love making these hard covered books and warn you that they can become addicting. 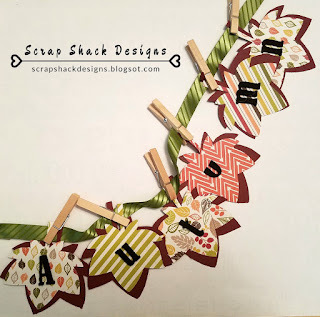 This class will be called "Friday Scraps" and will be offered through our online classroom. 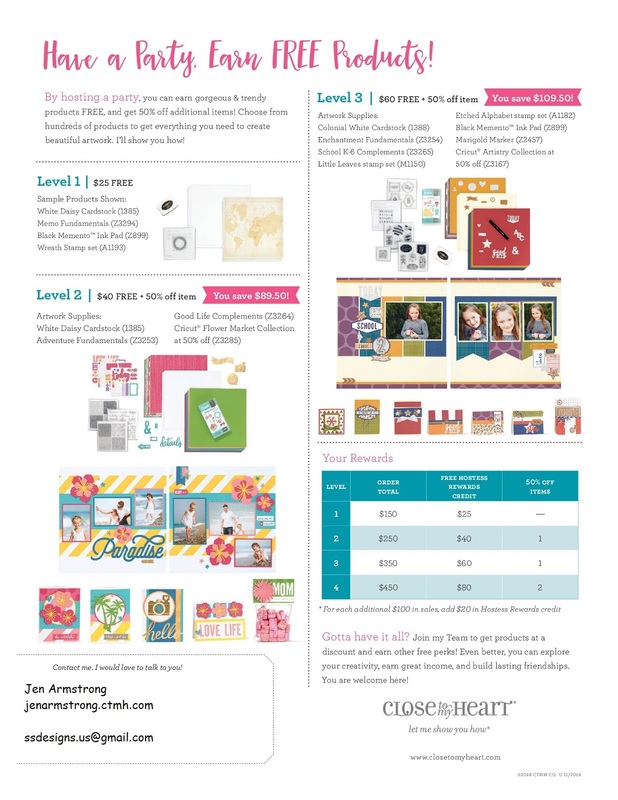 It's a free course offered to anyone who purchases a "Scrapbooking" Kit from me in the month of September. CTMH has all sorts of brand new paper lines and I would love to offer anyone who purchases a kit from me the option to see how easy it is to turn it into a whole album!! Some of our new lines include Falling For You, Silver & Gold, and Cats & Bats. Then of course we have our annual paper lines that have just been revamped, like the beautiful Enchantment line. Please make sure to get paper packs as well as embellishments if purchasing from our non-bundled annual lines, like Enchantment. If you need help deciding which paper fits your theme the best reach out to me and I'll be glad to help. 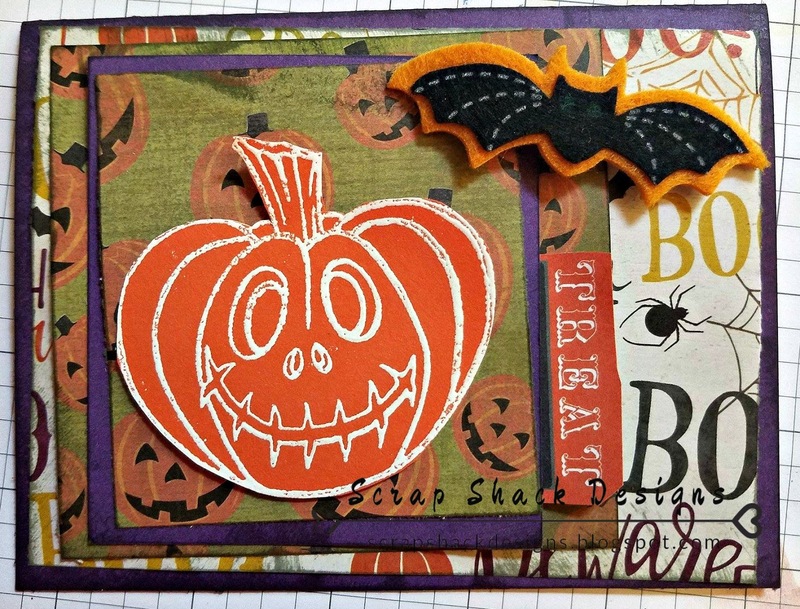 I will be sticking to our September theme and making my album using the "Cats & Bats Scrapbooking Kit". These kits are so perfect for mini albums because you know everything is going to match. So grab your favorite kit and a few items from your stash like adhesive, chipboard or heavy cardstock, and any paper punches you may have - oh yea and don't forget your themed stashed embellishments!! and meet us over in the classroom for #fabulousFridayfun! 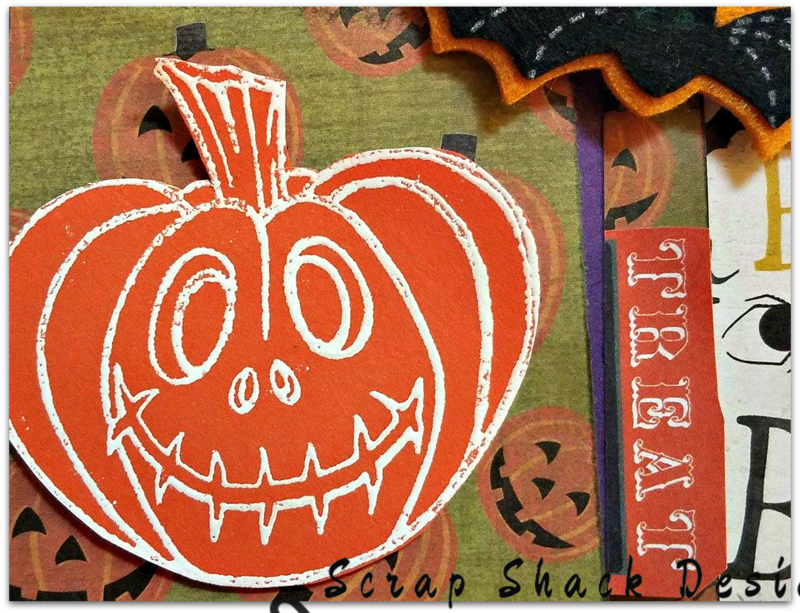 Oh yeah and if you are the type of crafter that LOVES classes and learning new techniques but you just have WAY TOO many supplies to run out and purchase another full kit... no worries because you can still come and enjoy our "Friday Scraps" at a reduced price. If this sounds like you then E-mail me for more information. Also remember that anyone who makes a $25+ purchase through a class or through my online CTMH store will be entered onto our Hostess list and one step closer to free rewards! I live in the NorthEast of the US, you know where we really get into Halloween!! And since Aug. is already upon us I have decided to dust off all of my Halloween papers, stamps, and embellishments and get to work on making all of my Fall/Halloween stuff. Seriously I mean check out the way that the stamped Jack-O-Latern pops right off from the background! This card was made using some serious layers. I cut and matted each patterned paper with a solid color, in this case I used purple. Then I inked around all of the edges to give the card more of a "worn" look. The "treat" sentiment is from a small Halloween Bingo card I had in my stash which I just stuck behind one of the layers. I found that bat in a bag of decorative stickers from a dollar store. The stamp is an image, found here, that I simply stamped in white ink and then white heat embossed it. When I was happy with the image I fussy cut it out and added it to the card front. I love the stitched mouth of this image and how the embossing makes those eyes really stand out. Thanks for stopping in today. I hope you enjoyed my festive card! If you missed Day 1 of this wonderful Extravaganza party make sure to head back over and check out the fabulous video. You can click here to see it. 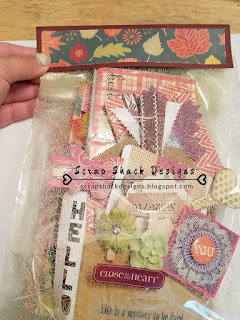 This swap was filled with fabulous Autumn goodies ranging from a banner to tags and cards...which is what today's post is all about. 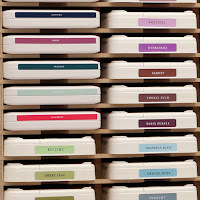 These tags were made as part of an overall project which turned out to be similar to a loaded envelop. 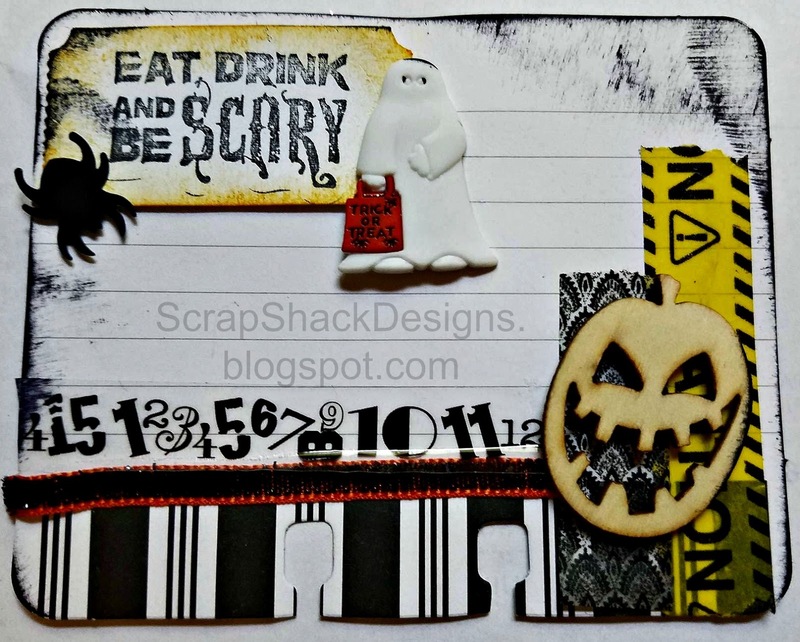 The tags were all made using a variation of the same supplies, buttons, paper, and sentiments. For those fun sentiments I decided to cut out from a sticker word book and keep the white backing in tack. All of the projects made for this swap were made using the same items. 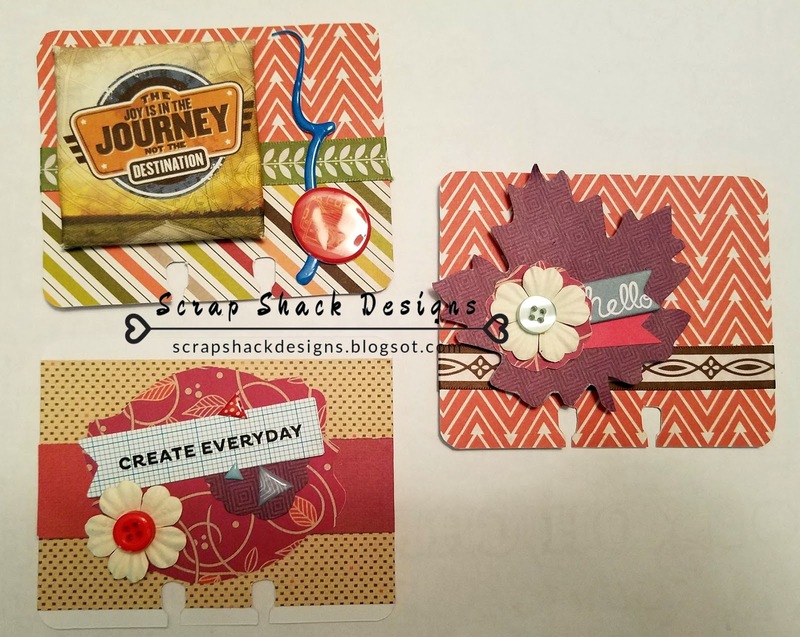 I used a 6"x6" Autumn themed paper pack as well as a 12"x12" sheet of paper from another paper pad. Using the same paper made the huge laundry list of items in this kit a lot more manageable. I also have started sorting my extra pieces into themes which helps to keep them organized (*More on organization in an upcoming class.) A lot of the larger shaped embellishments were created using my Cricut, or free-hand drawn. You will notice that the big leaf on the memorydex cad below matches the banner that I showed you on Monday. The memorydex cards were shown in a previous blog post found here. 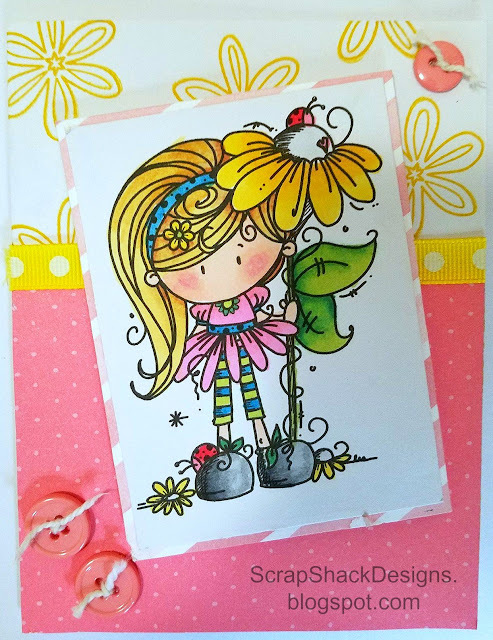 In this post I tell you all about my love for these little cards and encourage you to try them out. Here they are again just because they became part of this swap bag. This was a large project but I found it to be very fun and super rewarding. Putting everything together at the end and looking back at what I had spent so many nights creating was really amazing. I know that sometimes I craft too much (is that a thing?!!) and can easily forget the project I worked on last week. Thanks for stopping by today! I hope you enjoyed and were inspired. If you are interested in taking part in the Halloween Extravaganza then make sure to head on over and sign up. Also make sure to come on back tomorrow for a really fun tutorial. I am so excited to be posting on this lovely Monday! Today I have a really fun project to share with you that will actually be taking up a good portion of the week. 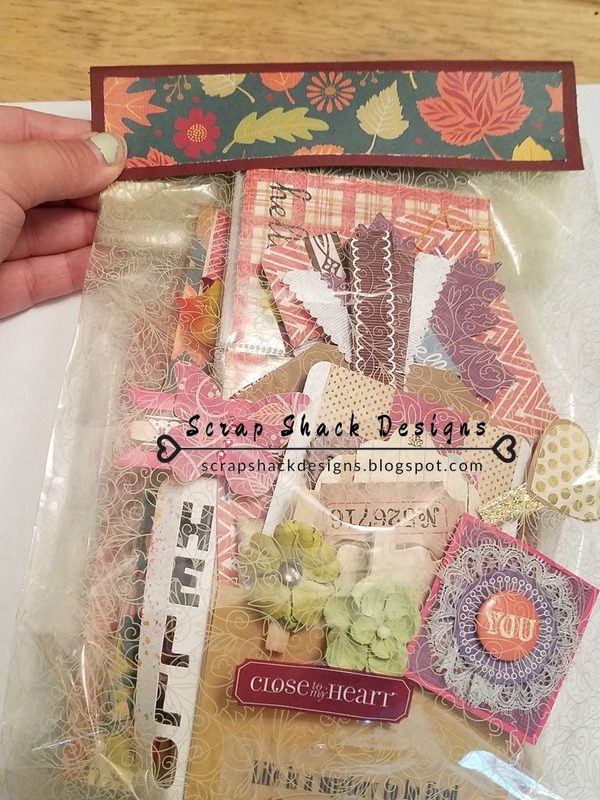 As many of you know I am part of a couple different swap groups on Facebook and for one of them we were challenged to make an Autumn Extravaganza package which included a laundry list of hand made items ranging from a pocket letter to altered clothespins. Well I have finally finished this large project and wanted to share everything I made with you guys. Here is a video showing off everything in the package. That's a lot of stuff right?!! So let's break it down into smaller projects, just in case you get a little inspired. First things first the presentation is where it's at. I used a CTMH bag along with an easy hand made banner across the top. I am also planning on adding my swap partners name with some stickers and maybe a couple of more smaller embellishments. This bag holds all of the goodies together. First up are all clothespins that I altered in one way or another. The top two are actually left over from an Autumn Embellishment swap where I had to make embellishments for my partner. The rest just come from piecing flowers together and attaching them to a mini clothespin using a glue dot. These little embellishments are awesome, very easy to make, and work well for a little added touch to any project. I decided to package them up by adding them to my package of additional goodies. So what good is a swap without some extra added goodies?!! I had this wonderful kraft pocket in my stash and thought it would be the perfect place for added goodies. Now a lot of people over think the whole adding extra goodies to their swap when it's really pretty simple....we all end up with left over pieces after we make our project, right?? Well the only thing you need to do is simply add those "leftovers" to a baggie and pass them along to your swap partner. Pretty easy right. This step is not necessary, but trust me your partner will LOVE the added thought! I think this creates a really fun "opening piece." I kept the whole project very simple by using the same papers and embellishments all the way through. Everything was made using stuff from my stash and just mixing and matching things I already had on hand. Here is a closer look at the banner. Again very simple and easy but also really fun. I used some more of those mini clothespins along with a leaf image from my Cricut Library. 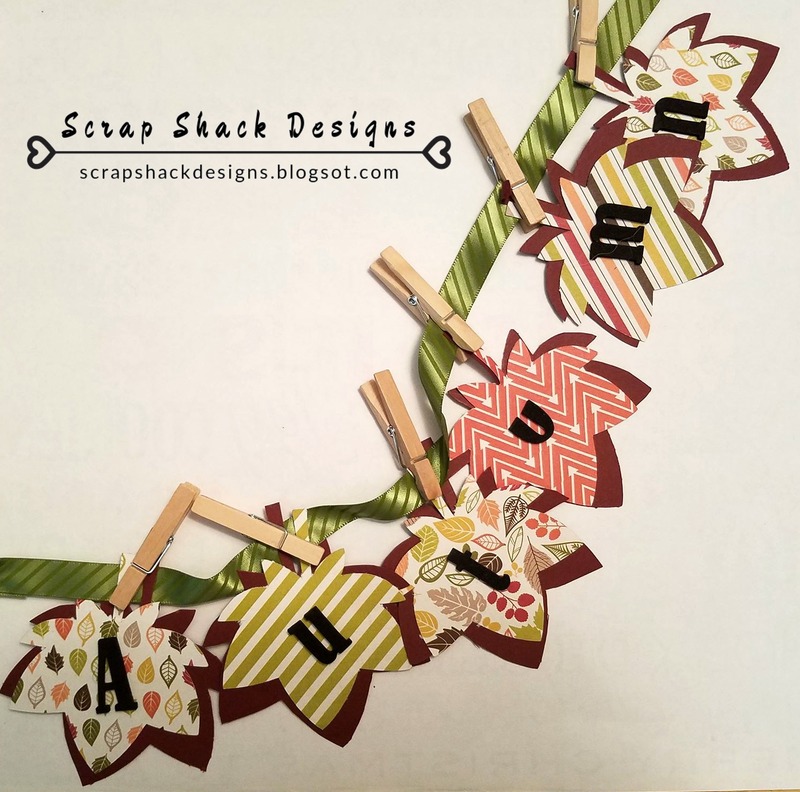 I offset the patterned leaf which is slightly smaller than the background leaf and then I added a black 3-D letter to spell out "Autumn." I hope you enjoyed this part of my project. Make sure to come back on Wed. to take a closer look at the MemoryDex cards and the tags that I made. Then on Thursday I will share a tutorial on the flip book and finish out the week on Friday with the Pocket Letter. 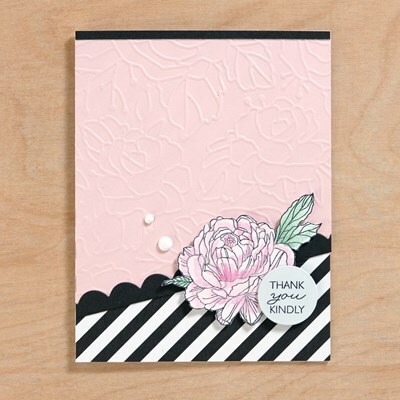 Oh yeah and that beautiful stamped floral background is hand-made!! Awesome right! 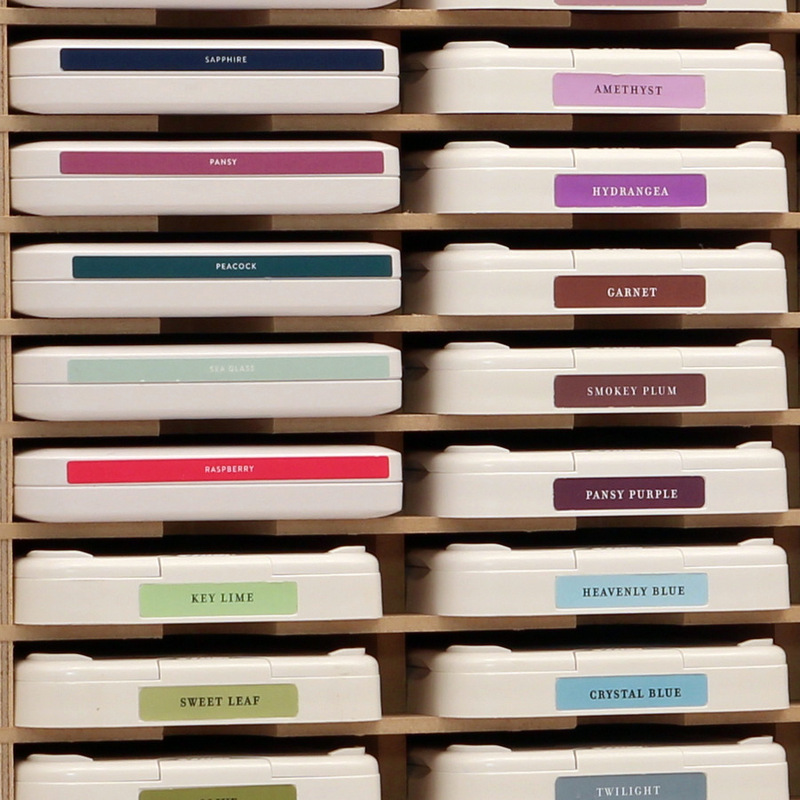 Talk about stretching your stamps even farther. As far as the rest of the image. I colored in that lovely stamp in using alcohol markers. I then layered her onto some patterned paper. I have a whole bunch of ribbon and buttons in my stash so I just dug until I found similar colors to the card's overall scheme. I tied some twine into the buttons to give them more of a polished "sewn on" look and placed them on the card using my "triangle rule- two close, one across." 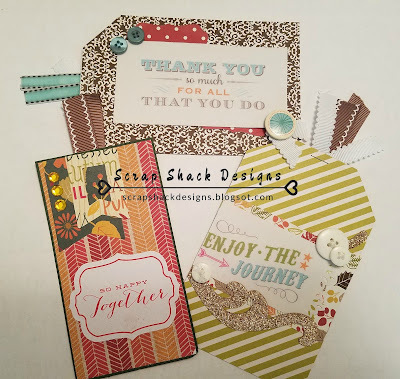 Now if you follow me over on my Facebook Fanpage then you would know that I went live last week with that awesome "background stamping" technique. 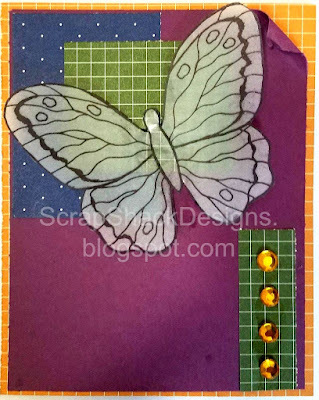 This is such an easy way to create beautiful backgrounds using supplies that you already have on hand. 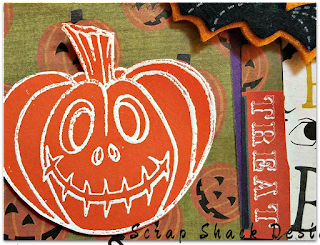 You can create full backgrounds, partial backgrounds, and even peek-a-boo backgrounds using this technique...you also can use any size stamp....talk about getting the most out of your supplies!! Guess what?! 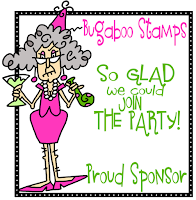 Bugaboo Stamps just happens to be our CK prize sponsor for the week!! 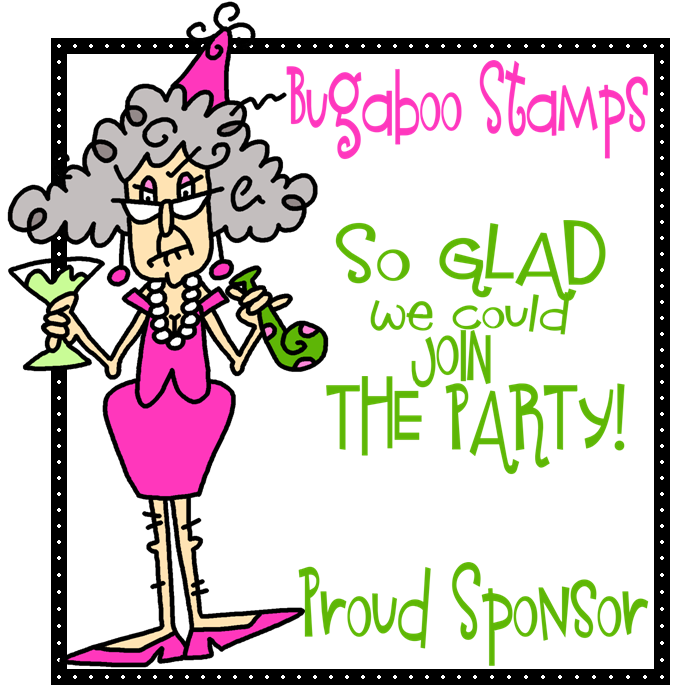 That's right one lucky challenge winner will receive 4 images from Bugaboo Stamps as a prize for submitting the best "card for a child" in this week's challenge. To see some more beautiful designs using digital stamps, or to be entered to win 4 free images from Bugaboo stamps come on over to Creative Knockouts and play along. 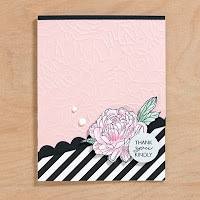 To see the Whimsy Paper Line that I used for the card you can check out my CTMH store found here. This line comes with 24 different designs so you can mix and match to make a number of different designs and themes. Plus don't forget that if you make a purchase through my store I will e-mail you any matching tutorials so you can make even more beautiful designs! I know it's early, but in all reality we only have 2 Months to go before it's Halloween time and if you are like me then the Fall is your most absolute favorite season ever!! So of course I had to pre-season the Fall Season and come out with some of my first Halloween Projects of the year. This card is a MemoryDex card and if you have never heard of them then you are truely missing out on one of the newest PaperCrafting trends. MemoryDex Cards are all the range right now and I am going to show you how easy these cards can be. These little Memorydex Cards is a new spin on an old fashion office accessory!! Created by Heidi Swapp these little "Rolodex" style cards are hitting the crafting world like a storm. 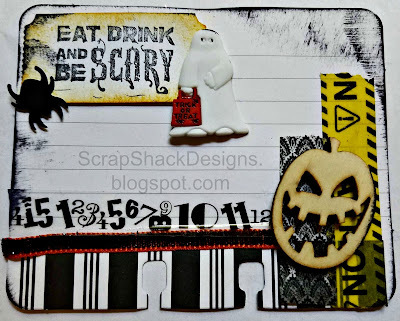 Crafter's are using these cards for recipes, as address books, and even as photo albums!! Here take a peek at some others I have created. If you love this idea as much as I do then feel free to come on over and share some of your projects on my Facebook Fan-page, we always love inspiring others. Thanks for stopping by today and as always Happy Crafting! Hi Guys! Thanks for stopping in today and checking out my newest project. Today is my day to design for the fabulous "Just For Fun" blog. I love the stamps that JFF offers and feel like it is the perfect compliment to my "sometimes too posh" CTMH stamps. 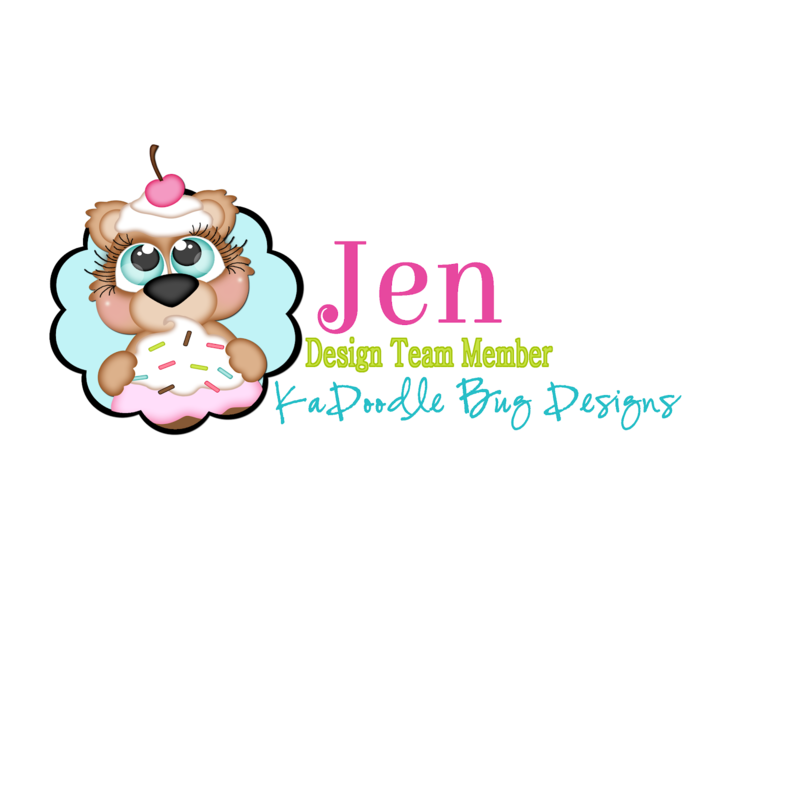 JFF puts tons of detail into their design and often incorporates those awesome independent designs, like their stamptangle line. Also, did you know that Just For Fun has stamps that come in sets, just like the outline/detail set I used today. This project was super simple to put together, once I had the sketch picked out. Since the sketch used multiple papers I decided to use paper from the same exact paper line. Picking you paper out of the same line makes mixing and matching very easy because it's guaranteed to match every time. Once all the paper was laid out I simply stamped the beautiful image onto Vellum paper then I fussy cut it out. I finished off the card by adding four gems to the bottom strip and then curling the top corner. Again this stamp is part of a set which includes both the inner detailed stamp as well as the outline stamp making it super simple and fun to layer or build upon. 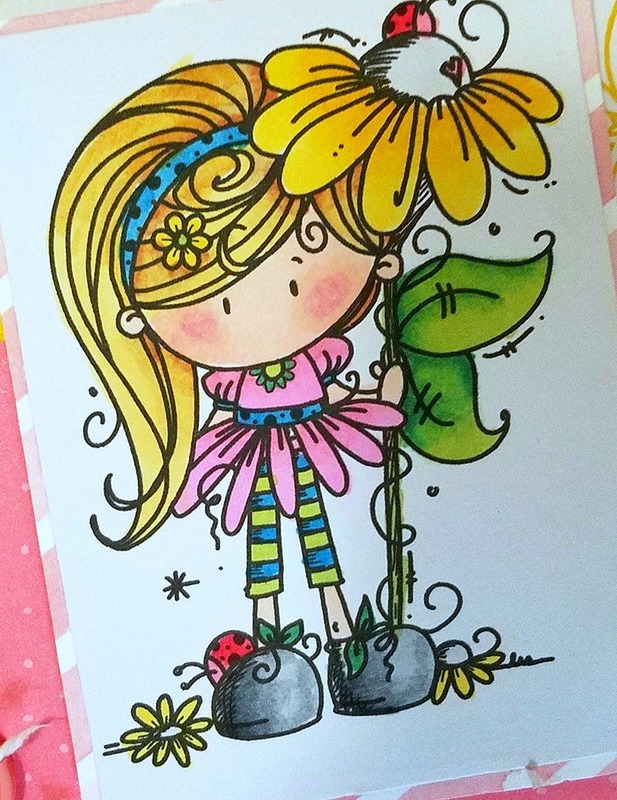 For example I could have added color to the background of this stamp by stamping the outline image onto some orange (or even patterned) card stock. I would then add this layer to the bottom of the vellum and attach the two in the center. I could also stamp the outline image onto pattern paper and just use that as my focal point. There are so many options when you are working with stamp sets and they are kind of like choosing paper from the same pack, you always know they can be mixed up and matched perfectly every time. 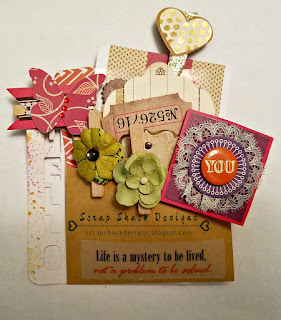 Did you guys have a chance to check out my newest course, Stamping 101?? 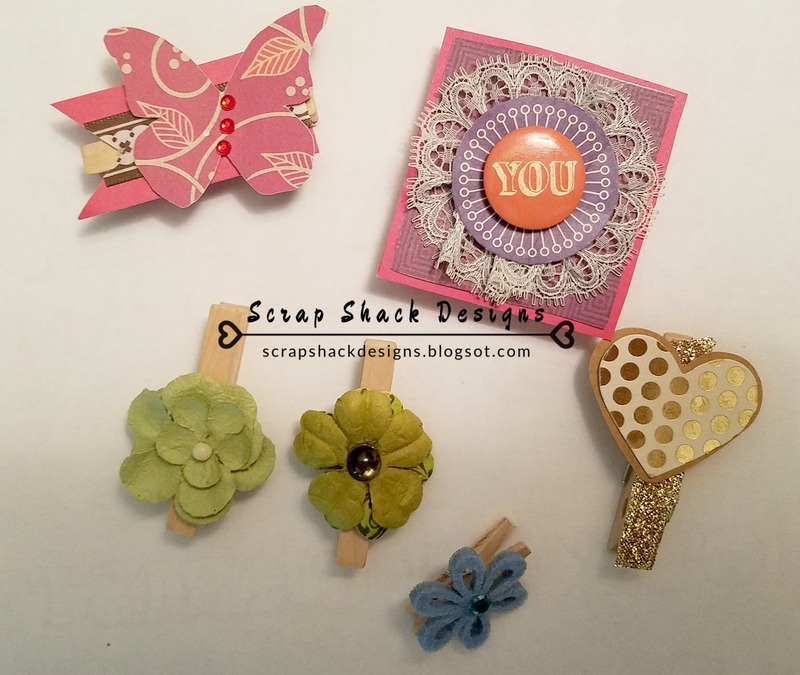 This was a wonderful course for new and intermediate stampers and the best news is that it was completely FREE!! I LOVE free and I LOVE passing along my savings to you. Aside from being awesome this course also got great reviews from those who joined me live for it! During this course I showed off my ultimate “spend AND splurge” lists for what you need to get started and to continue stamping. I also showed you how to start stamping with those same tools as well as how to clean and take care of your new products. 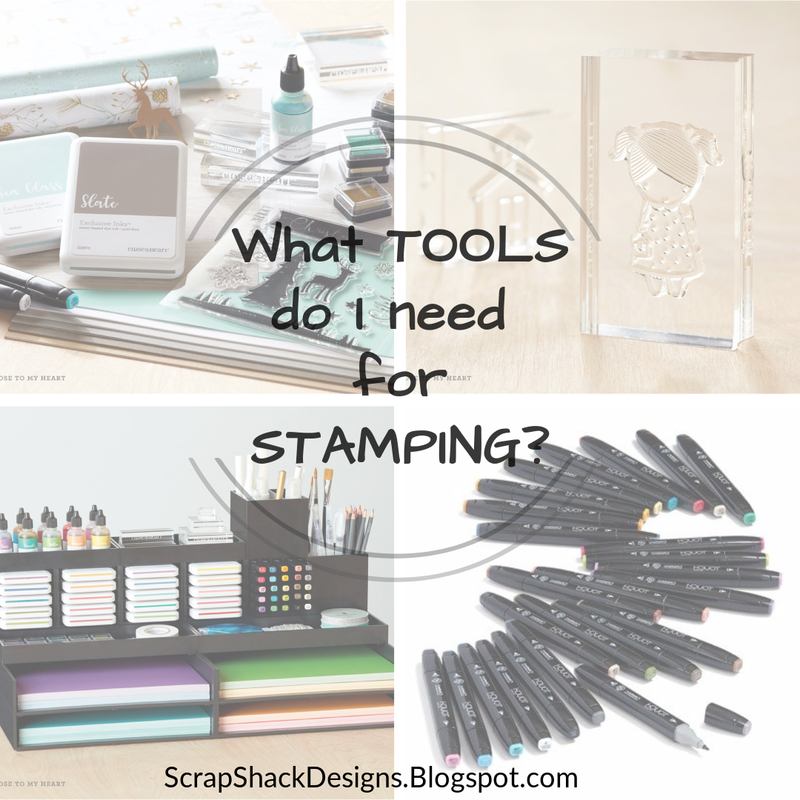 Lastly, I came on and showed you a whole bunch of really cool tips and tricks to help make those stamps worth your money. I have decided to keep this course up and running and to allow everyone who missed it the chance to go back and watch all those same videos and tips at their own pace on their own time. 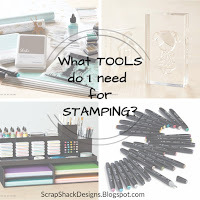 So if you are looking to learn some new stamping techniques or perhaps you have been wanting to learn for a while and just have no clue where to start then come on over and join us here. One of my friends sent me a pocket letter that was made up of these adorable little card toppers. I know she's pretty much a genius for coming up with this idea. 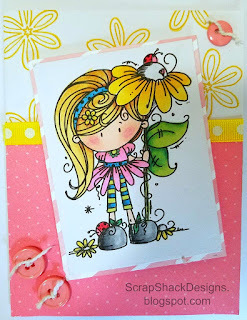 Of course I could not wait to put them onto cards and make some fabulous and easy cards in no time, which is exactly what I wanted to share with you today. However, with my super busy schedule I was only able to make one, so think of this as a sneak peak of what's to come. That awesome sunflower card topper came from the PL and that background paper came from my stash which made pulling this card together super easy. All of the card toppers match and feature those wonderful flowers along with that awesome yellow and black background. 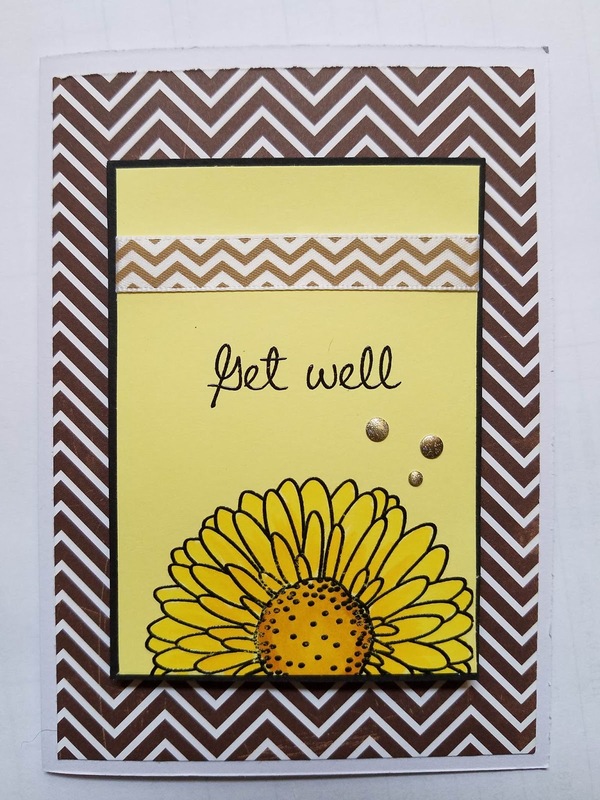 They all have slightly different sentiments ranging from "Hello" to "Get Well" which was a great idea since I cane now make a batch of similar cards that all vary slightly. The flowers, and some of the sentiments, are heat embosses which adds to the beauty of them and helps to keep the cards simple yet elegant. Well I hope you enjoyed my project today. Please make sure to subscribe to the blog so you don't miss out on the rest of the batch. If you decided to try this fabulous idea make sure to post your link below. I would love to come by and check it out. Thanks for stopping in and Happy Crafting! Welcome August!! Of course with a brand new month comes a whole set of brand new savings, promotions, and discounts and boy we really have out done ourselves this month. Let's start right off with our always fabulous $5 Stamp of the Month deal. 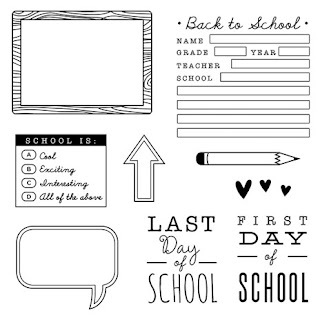 This stamp set is perfect for all of your back to school need. As with all of our SOTM's you can purchase this set of 9 for only $5.00 with a qualifying purchase of $50 or more, which is not that hard when you check out all of our brand new products!! Next up let's talk about the one that I am most excited about our month long Warehouse Sale!! Save big on the items ranging from thin cut and stamp bundles to ink bundles and more, which are available for a limited time while supplies last! A fresh set of deals will be made available every Tuesday at 12:00 am (MDT). You’ll also save on shipping costs through this sale, since shipping will be based on the discounted price of sale items! Interested in even more special offers? 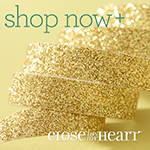 Check out the awesome FREE items that you could get when you sign up as a Close To My Heart Consultant or the extra rewards you can earn by hosting a Gathering this month. Like our "Rewards Our Way" which is perfect for anyone who has been thinking about joining my spectacular team. And last but certainly not least is our "Jump For Joy" campaign which is geared towards those of us that want almost all of it. With this campaign you can Earn extra Hostess Rewards with a qualifying Gathering in August! When you host a Gathering in August that reaches the third level of Hostess Rewards or higher, your rewards will jump up to the next level—that means extra free product AND possibly even an extra 50%-off item, too! When your rewards jump, we know you’ll be jumping for joy, too!! Also we have a whole new set of hostess only products where you can get 50% off the price tag of one item when you reach level 2 of Hostess Rewards; earn additional 50%-off items the higher your party total goes! Choose from higher-ticket items like our Cricut collections as well as a collection of items available exclusively to hostesses, like our Workspace Wonder Hostess Bundle! Make sure to contact me today to take advantage of all of these wonderful promotions. Everything mentioned today is good only for this month so make sure to jump right on it.